Franks, “The Original Neighborhood Grille,” began in 1958 by Frank Iodice, an Italian immigrant. It was originally named, The Sanger Restaurant and renamed Franks Grille, creating a tradition of excellent food and drink at an affordable price. 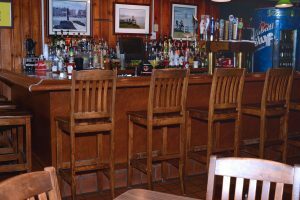 Current owner, Dan Amatura took over in 1993, continuing the tradition of excellence. Our Beef on Weck and Friday Fish Fry’s are considered to be one of the best in Buffalo. 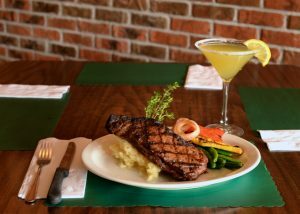 Franks offers daily homemade specials, featuring chops, steaks, seafood, and much more. Our chef also prepares our soup du jour and special salads daily. Pizza and Wing specials are also available. Franks also offers Hot Drop-Off Catering for all of your home and office needs. 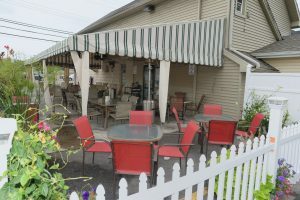 Alfresco dining is available on our beautiful heated patio Spring thru Fall.